Yay! More unicorns! You can never have too many amigirimi unicorns. These cute and cuddly little guys are just the thing to brighten up your nursery, or simply to expand your ever-growing ami collection. In particular, they are designed to be fun and colorful, a little different than your standard, run of the mill white and rainbow unicorn. 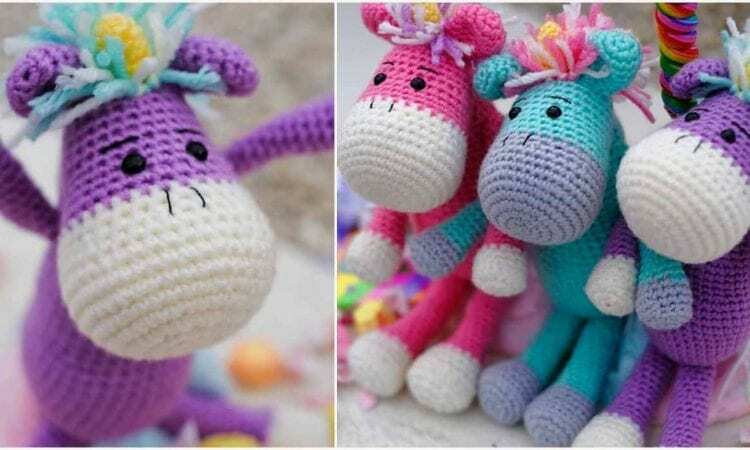 The soft, rounded lines, bright hues and texture will definitely make these unicorns a favorite with your little Agnes. A link to the free pattern is at the end of the post. Love them. They are so cute.